Jamie (L) and Lyndon Cormack. When I ask Lyndon Cormack whether he has ever been approached by investors looking to put money into the bag company he started with his older brother, Jamie, he laughs. “Yeah, you want me to open my phone and see how many approached us today? I mean, we are everywhere,” says Lyndon, 39. It’s true. Herschel bags are everywhere. If you aren’t aware that you are seeing them, then you probably just don’t know what you are looking for. Being told that Herschel bags “are everywhere” by one of the company's co-founders is the sort of thrown-over-the-shoulder self-confidence that characterized our entire conversation. Lyndon and Jamie are doing well, they know it and they plan to grow their baby into a giant. 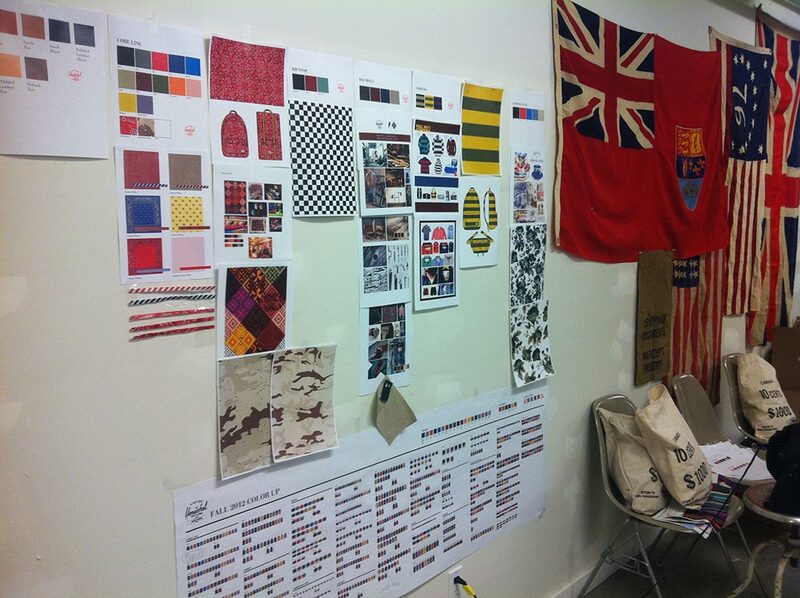 A look at the design process from one of the first bag collections in 2011. Zero to 72 countries in six years. In 2011, Jamie and Lyndon left their jobs to devote their full energy to Herschel, which they named after a teeny-tiny town (population of 30!) in Canada that their relatives immigrated to from Scotland a century ago. The growth hasn’t slowed down. In 2011, the brothers sold 8,000 bags. In 2015, they sold 4.5 million. This year, Herschel, headquartered in Vancouver, is expecting to sell 6 million units in 72 countries. Related: This Eyewear Startup Was Turned Away by 10 Factories. Two Years Later, Its Frames Will Be in 500 Stores. The Herschel brand leapt to popularity early on, becoming a darling of the hipster set because of its modern lines of utilitarian backpacks, most hovering under $100. One of its signature backpacks, the "Pop Quiz," costs $74.99. 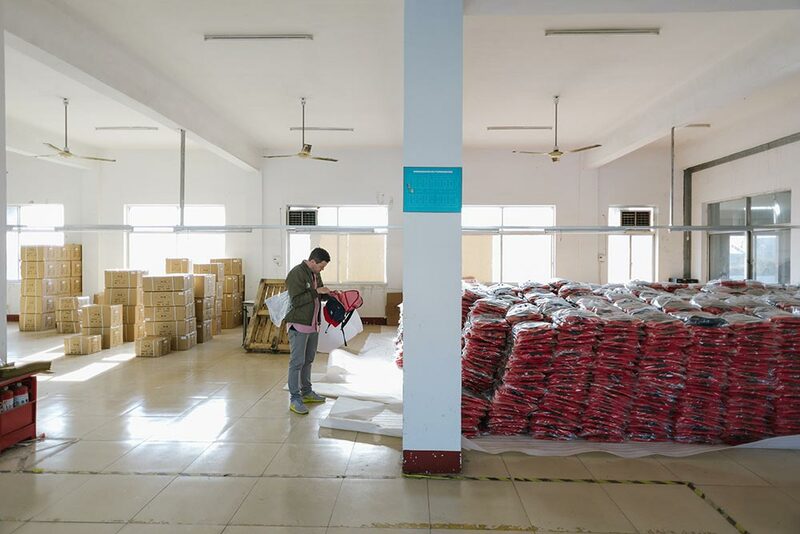 Jamie visiting a factory in China in 2013. Another key to the turbo-charged growth of Herschel is that it was born as social media was coming of age -- and both brothers have a sales and marketing background. They know how to position a brand in front of an audience. 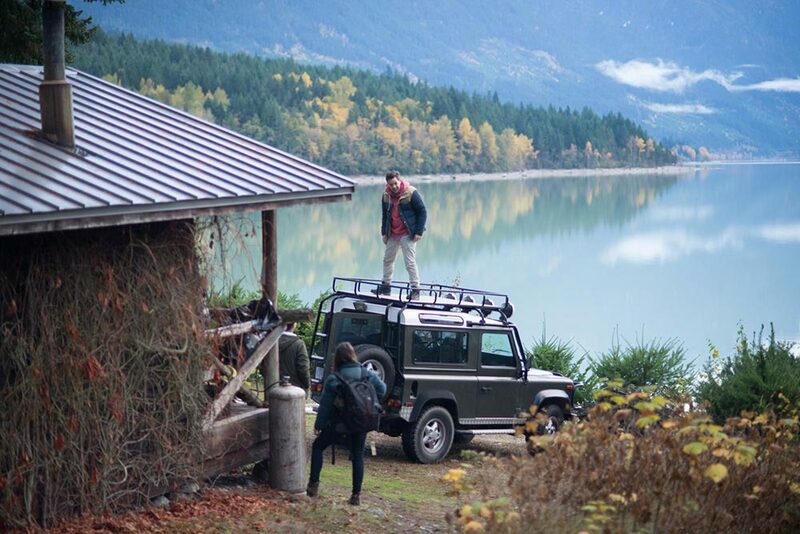 Jamie on location for the Fall 2014 lifestyle shoot in Pemberton, Canada, in October 2013. 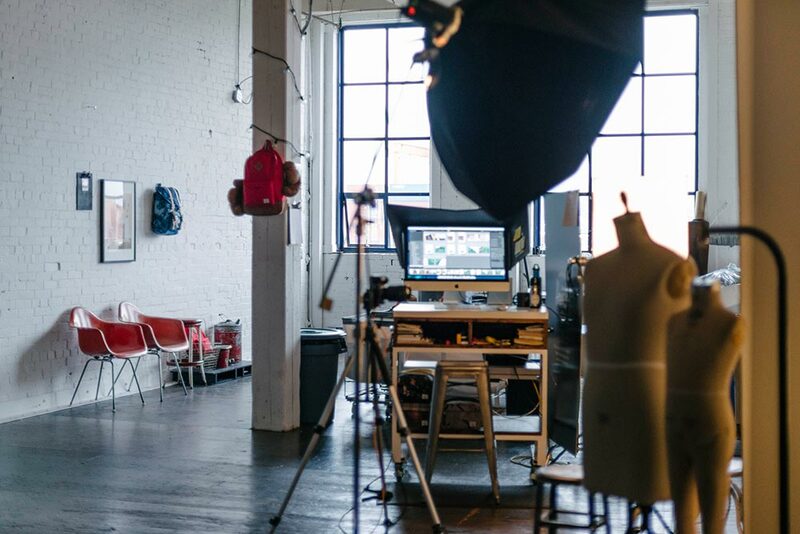 Jamie has been the Director for every major campaign shoot since Hershel launched. Thus far, Herschel has turned down all of its 500 funding suitors -- politely, to be sure. The Cormack brothers have enough business savvy to know that they best not shut any doors too early on. Lyndon, Jamie and their third brother, a silent partner in the business, own 100 percent of Herschel Supply Company. In a startup world that seems to live and die according to the tides of funding rounds, that’s pretty impressive growth. “We run a great business,” Lyndon says matter-of-factly. He’s confident in his playful directness. The Cormack brothers reap competitive glee in running Herschel as efficiently and cleanly as they do. The Cormack brothers didn’t pinch pennies on graphics, marketing, photography or office space in the early days. That means the business has always had a sleek presence. Early on, everyone did everything. For example, designers did both graphic design and product design -- they worked on retail displays, prints for product, silhouette design and the website. Key managers were the first hires, and all of the key department heads have been with Herschel since its launch. In the ultra-expensive areas of shipping and storage, the company hired third-party experts to be sure it was growing wisely. Before Herschel’s launch, Lyndon and Jamie received a small investment from their third brother. This enabled them to do the research, development and initial prototyping without taking on any outside capital, as well as launch Herschel internationally right off the bat. Herschel's tradeshow booth in 2014. Keeping a hand on the throttle. While Herschel has been growing exponentially, the Cormack brothers potentially could have accelerated faster if they let themselves rush. “There has been so much opportunity for us to actually do more: more categories, more things, and it is just having that resistance to say, ‘Yes, later,’” Lyndon says. Jamie insists on waiting to move into new spaces until everything is ready. For example, Herschel didn’t post a single picture on its Instagram page until it accumulated 5,000 followers. “If we are going to do it, we want to show up right and we want to show up properly,” Jamie says. “And it’s something that we talk about all the time, how to show up right, how to show up properly.” “Properly” is a word that Jamie used a lot during our hour-long interview. 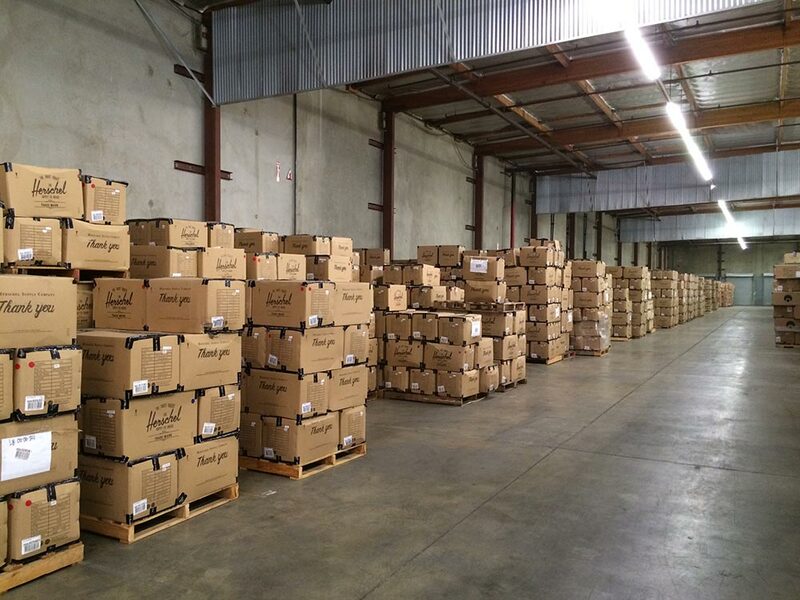 Herschel's warehouse in Los Angeles. Investing in the “back end” of the business means taking care of the infrastructure and organizational guts of production. When Herschel had only four employees, it already had the same enterprise resource planning software that it uses today. Investing in software systems that can handle significant growth prevents the team from having to take the time to learn new programs and migrate data down the road. Also, Herschel has an in-house prototyping team. That means mistakes get fixed before the plan ever goes out for production samples. 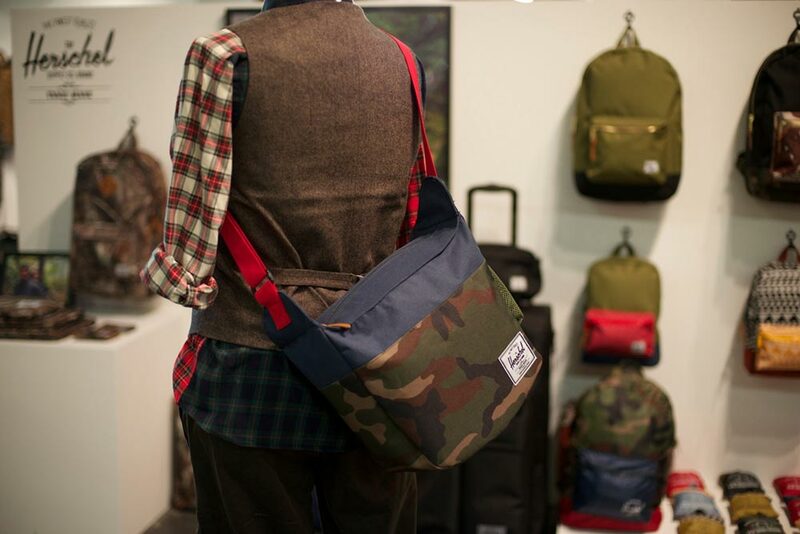 When it is time to manufacture, Herschel turns to the same manufacturing partners it has had from the very beginning. Re-upping with new production partners can be expensive in time and money. By 2020, Herschel expects to multiply revenues by five. Just because the Cormack brothers are patient doesn’t mean that they aren’t ambitious. By 2020, they want to have multiplied revenues by five, Lyndon says. To get there, Herschel will not only launch new products, but also likely continue to build on its already robust history of strategic partnerships. Already, Herschel has partnered with Coca-Cola, Stussy, Madewell, Coachella and Disney, to name a few. Additionally, the Canadian retailer has ventured into new, innovative rip-stop fabrics. Herschel has carved out its own niche, but the brothers aren’t without competition. Other utilitarian design-oriented competitors include Chrome Industries, Incase, Tumi, Seagull and Jansport, Whitfield notes. Jamie getting ready for a product launch. Eventually, Herschel will move into new product categories beyond bags. But the brothers are waiting until they are fully ready to do so -- properly.